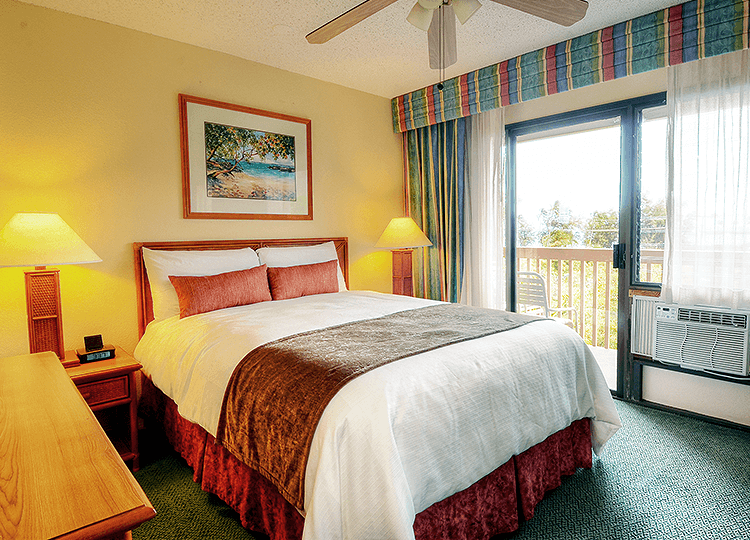 With an unrivaled location and irresistibly affordable rates, Banyan Harbor Resort of Kauai is the perfect place for family vacations, group travel, and romantic getaways on the Garden Island. Boasting spacious suites just steps from famous Kalapaki Beach and minutes from Lihue Airport, our Kauai hotel is exquisitely poised for Hawaiian indulgences, making it easy to soak up the scenery and enjoy traditional island activities in one of the most breathtaking places on earth. Please note that a resort fee does apply separately. 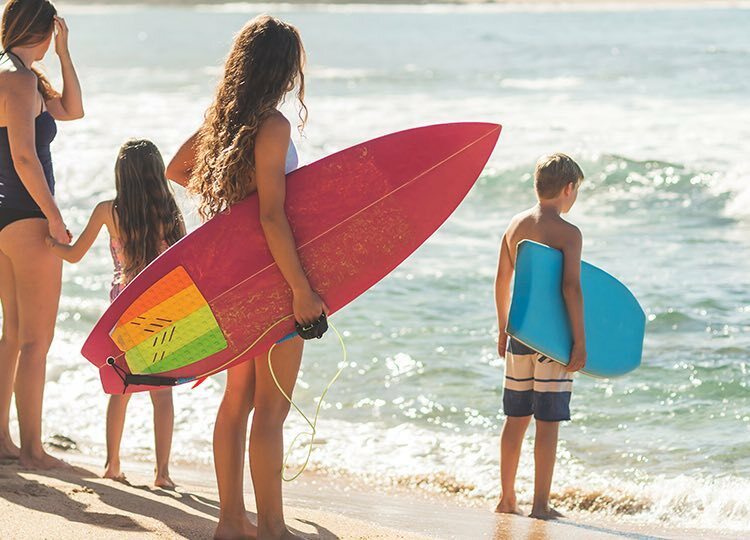 Our convenient, central location makes it easy to enjoy the sunshine, sand, and surf of picture-perfect Kalapaki Beach, just steps from our Lihue hotel. Make yourself at home in a spacious one- or two-bedroom suite, featuring a full-sized kitchen and dining table, living room, private lanai, and more. Swim, dip, or dive into our heated saltwater pool, overlooking the expansive Pacific Ocean. Unwind in the water as your worries float away atop a cool island breeze. 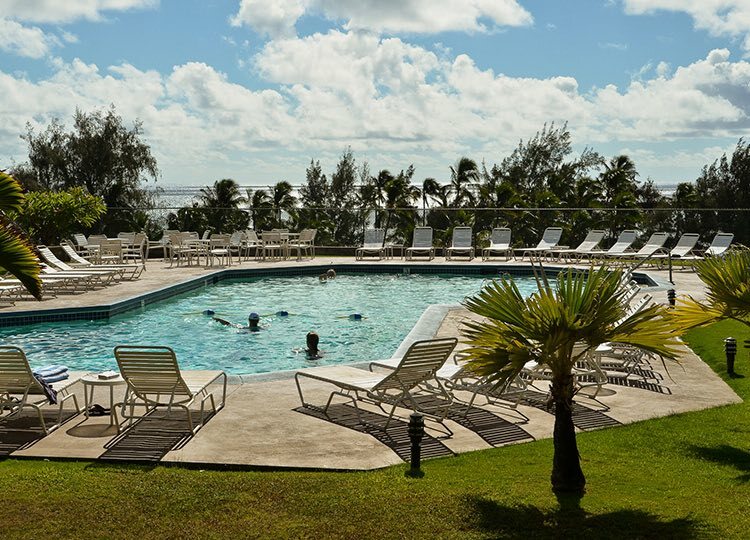 Whether you want to BBQ by the pool, play a game of basketball, or test your skills at shuffleboard, our hotel offers exciting activities that the entire Ohana will enjoy.